Folks, I'm excited to share that John Krupa is going to be presenting at the February monthly McHenry County Right to Carry Association meeting a variety of topics that pertain to CCW holders. February 6th, from 7-9PM at the Woodstock VFW. - Insight on instructor professionalism, networking and continuing education. 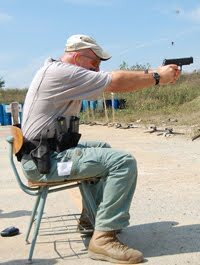 This is an excellent chance to get out and meet John, one of my mentors, and get some real, no-BS answers to CCW questions you may have.